Compounded: Geiger Expansion, the first full expansion for the chemistry board game Compounded, gives experienced scientists even more to con­sider in the lab with the introduction of radioactive elements and com­pounds. As productivity in the lab increases, so does the chance for radio­activity levels to rise. 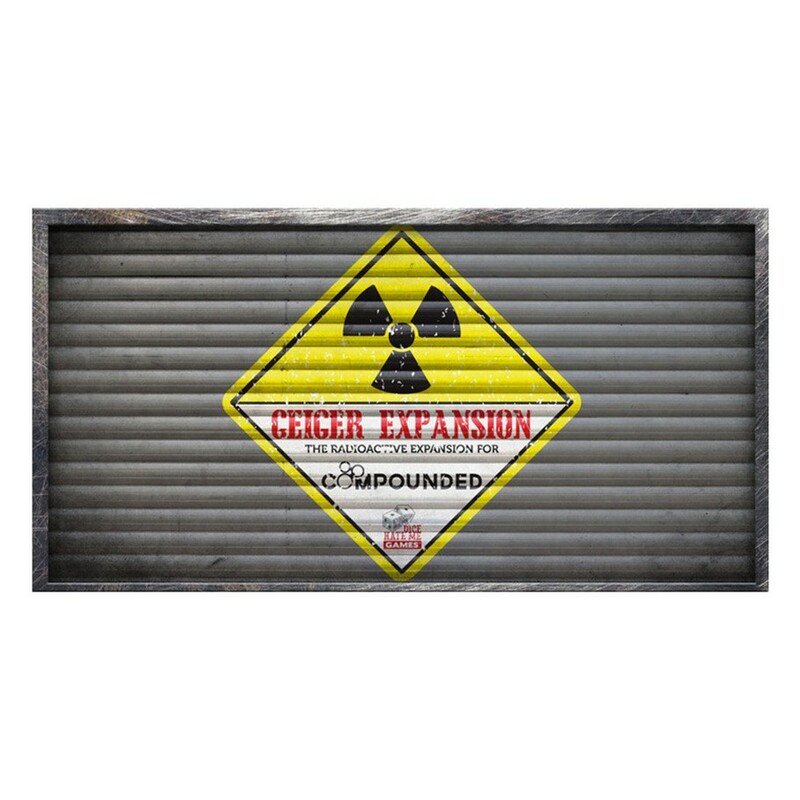 The Geiger Expansion introduces a new, interactive paradigm to the base game of Compounded as players now sometimes have to work together to eliminate or reduce the threat of radioactivity. Of course, those players with a propensity for causing chaos have even more methods at their disposal, ensuring that each game is exciting and dynamic.